CUBE E-Bikes are on their way to OnBike and we’re absolutely delighted!! Stock will be arriving this coming week, and we’re so excited to have our very first CUBE E-Bike in the store. The image above was taken a few weeks ago whilst at the recent Cycle Show in Birmingham’s NEC. It was the ideal opportunity to take a really close look at the CUBE E-Bike range. We were very impressed I can tell you! The quality of engineering and design was exceptional. You’d expect nothing less from a prestigious German company such as CUBE. All CUBE bikes are developed and tested in and around the Bavarian Alps as well as at the factory in Waldershof, Germany. We got up close and personal to most of the 2018 range of bikes on show at the NEC. What jumped out was the quality and attention to detail on these fine e-bikes. There was a lot to take in, but that didn’t deter us from scrutinising every aspect of the CUBE’s. It was clear that the eMTBs were built with gutsy performance and agility in mind. Strongly built with high levels of components. the hardtails were equally as impressive. Moving onto the touring and leisure bikes, we found them well appointed with high levels of comfort. Great semi-integration on the batteries, as well as individual designs too. Fantastic looking! 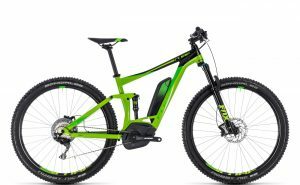 What’s in the CUBE E-Bikes Range? 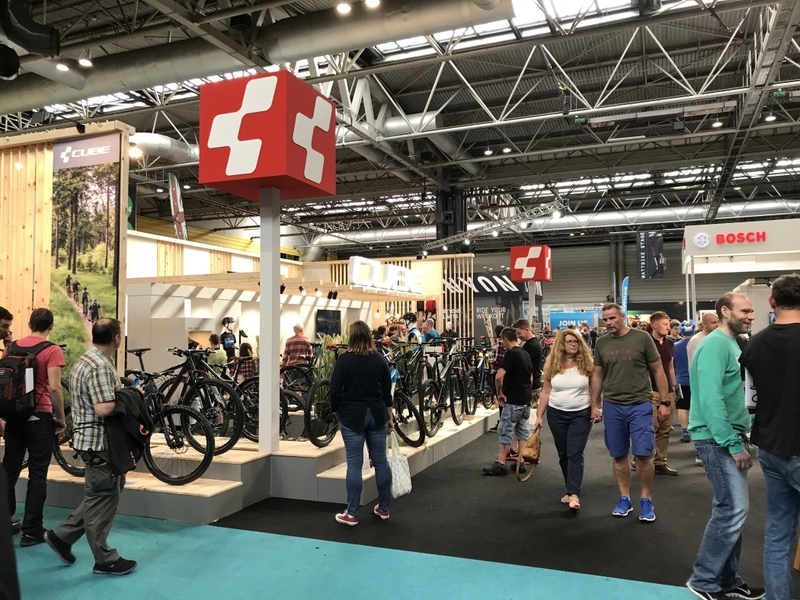 There’s no doubt that CUBE E-Bikes will complement OnBike’s existing range of high quality electric bikes, and offer a further dimension! We’re slowly incorporating CUBE E-Bikes into our website, but here’s a small sample to wet the appetite.